Or register online today! It is simple and easy and once you are registered you will receive event emails so you will have all the inside info on activities and sign ups! Start collecting donations from friends, family, and coworkers or local business that support the amazing research that MDA is doing to keep kids growing stronger and living longer! 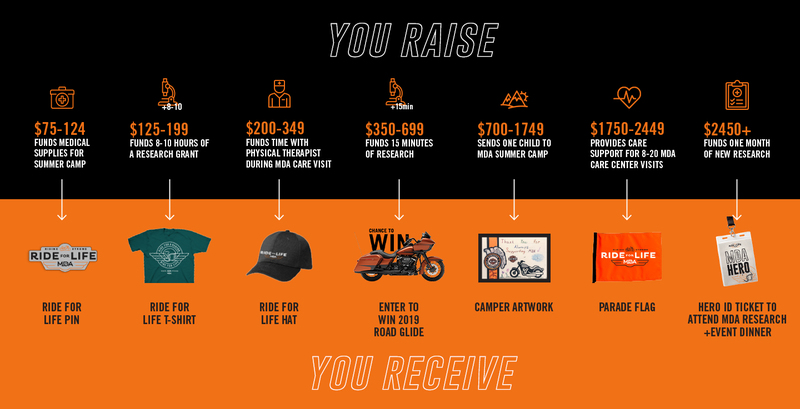 As you get more donations, you will earn awesome Ride For Life gear! Only cash or checks are accepted for in-person donations, no pledges are permitted. 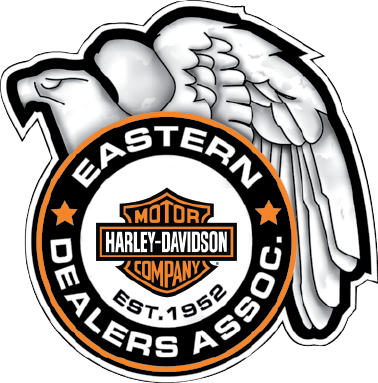 Return your completed registration packet, including the donations you collected (converted into a check made payable to MDA), to your EHDDA or WHDDA dealer or club coordinator. Awards for the top three fundraisers. Any youth fundraiser who raises $350 will receive a RAFFLE TICKET FOR A special drawing! The value of the prize is taxable income to the prize winner, and the prize winner is responsible for any and all federal, state, and local taxes associated with the prize. The fair market value of the prize (less the cost of the raffle ticket) exceeds $5,000, therefore, the winner must pay federal income tax withholding equal to 25% of the fair market value of the prize (and, if required, state income tax withholding) before receiving the prize. Your partnership not only supports this event but will help MDA find a cure and to create a world free of the harmful effects of muscle disease. BORN TO BE CHARITABLE. To subscribe to our email list and stay on top of the latest Ride for Life news, please enter your email address.